What is meant by “tyranny”? It was the tyranny of King George that provoked America’s Declaration of Independence in 1776. It was “The history of the present King of Great Britain is a history of repeated injuries and usurpations, all having in direct object the establishment of an absolute Tyranny over these States.” that would serve to justify revolution. A glimpse of Mr. Brockett’s career would not lead one to believe that he would be possessed with revolutionary fervor. 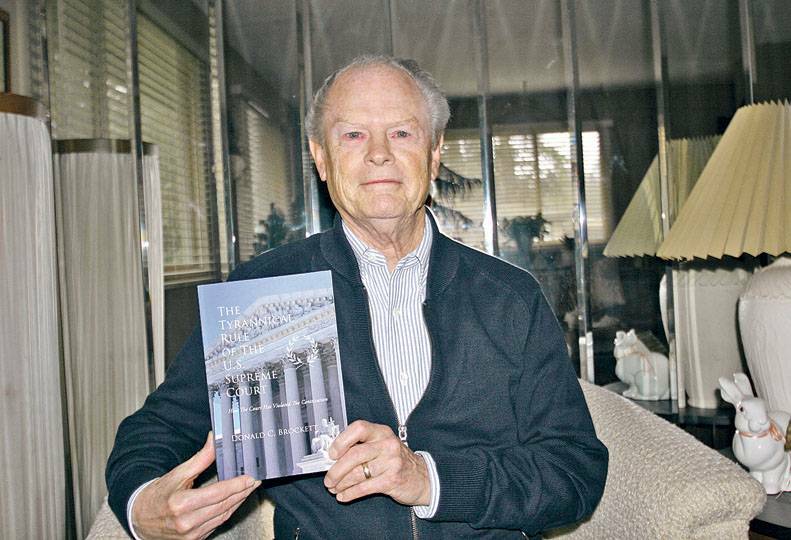 His 33 years in the Spokane County Prosecuting Attorney’s Office, 25 of them as the elected head of the office, speaks to his commitment to the rule of law. That experience also provides him with a unique view of how our society suffers when its highest court is ultimately lawless. 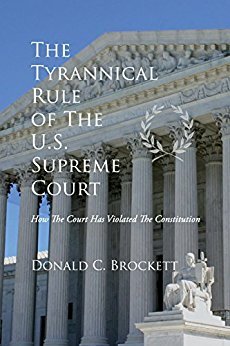 The Tyrannical Rule of the Supreme Court lays out the case for the judicial tyranny of the U.S. Supreme Court in a unique way. 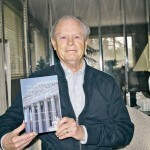 The book relies heavily upon the opinions of Supreme Court Justices. That is dissenting Supreme Court Justices. Schools that teach constitutional law and media reports of Supreme Court decisions invariably focus upon the majority decisions. Brockett points out that there is much to be learned in how the Court has strayed from the Constitution by studying the opinions of the justices who disagree with the majority. Brockett finds in dissenting opinions ammunition for how the Court has, in the name of protecting our liberties, stolen from us, the critical liberty for which the Revolution was fought: the right to self-determination through representative government. The Court has placed limits on free speech, the exercise of religion, and peaceable assembly. In doing those things and others, the Court has exercised a power not given to it: to make law. The book also contains an excellent explanation of what the 14th Amendment was intended to achieve, the recognition of newly freed slaves as full members of American society, and how that amendment has been misused by the Court to impose the policy preferences of the justices on American society. Tyranny: “a government is which absolute power is vested in a single ruler”. The Tyrannical Rule of the U.S. Supreme Court, page 151. There are seldom “unanimous” decisions by the Supreme Court in which every justice agrees with the outcome of the case and the reasoning used by the majority to reach the decision. A justice who disagrees or dissents frequently writes a separate opinion pointing out why the decision was wrong. Chief Justice John Roberts, dissent, Id. Allowing restrictions required by clear and compelling government interests of the highest order.